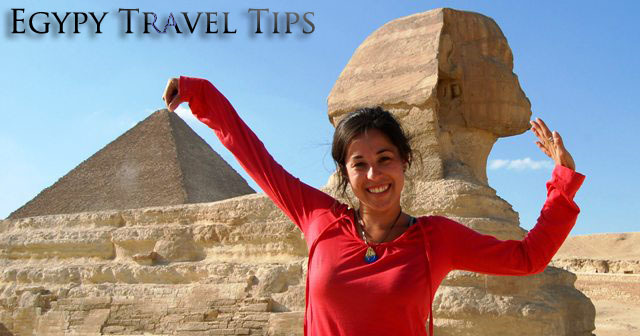 As you arrange a travelling to Egypt; you need to be aware of many things as you will be visiting many sites in Egypt. Starting from what to pack with you, how is the weather like, what clothes to wear, what kind of food will be served, if you need visa, and what shall I see in Egypt? These entire questions you should know about. Mostly everything you will find here in Egypt. Away from purchasing such things like shoes and other stuff could be expensive or hard to find, we advice you with the most important items you need to have with you during your trip, though this checklist would seem fundamental for the seasoned traveler. You will need brimmed hats which provide a certain amount of shade for the hot Egyptian sun; as women will be more acceptable specially when you have tour in churches or mosques, it will be reasonable if they wearing head cover also scarves should be for covering shoulder & arms; and this will not only for the religious sites but to protect you from the sun during your tours. During summer’s hot weather a cloth hat or scarf will keep your head cool. sun block: You might need to get your favorite sun block brand with you while it is available in Egypt to be purchased. This item is highly important as there are many tourists suffer sunburns after days worth sightseeing. Sunglasses is a very important item you will need specially if your tour includes Safari and desert landscape yet you can purchase in Egypt; however it’s better to bring your own stuff. Water Holder: To have a comfortable tour you will need to bring canteen or any other utensil which allows you to carry your water around your shoulder or on your waist; as it will be uncomfortable to carry the bottle in your hand during your day while you have our tour. Backpack with holder for water bottles will be useful too, for women even a shoulder bag will be convenient. Comfortable walking shoes: This is a highly important item you should have with you, a pair of comfortable shoes for long distance walk such as tennis shoes, and it is preferred to be light weight. Egypt has a lot of ancient sightseeing demanding long walk to explore it. Power adapters: Some equipment has switches to allow you to change to power input type; a simple wall adapter is all what is required. Yet some electronic devices need only a wall adapter, also a power converter. Egypt uses 220 volt. Medical prescription: You will need to bring your medicine prescription as it can be in Egypt in different names; as it will be convenient if you bring your non-prescription medications. Still you might be able to find such medication in Egypt like heart burn medication and pain capsules; the only thing is you might not find the brand you used to use. Add to this there are many tourists who are away from an organized trip staying in hotel which could be not easy to find out a variety of over the counter medications. Don’t forget your Imodium. While no one wants to get Tut’s Trot or Mummy’s Tummy, it may be handy to have some Imodium or other anti-diarrheic with you. The most common bottled water brand, Baraka, contains a little magnesium and therefore may act as a mild laxative. Another brand to try is Siwa bottled water. Camera: Mainly most of people will not forget their cameras on their Egyptian tours; we just would like just to grab your attention that while you are shooting your photos inside the monuments you will not be able to use the flash, however outside of it you can use it. And if you will need to take picture inside tombs for instance you will need a highly speed film. As most of people use ASA 800 film; which they push to 1600. Tourists will be disappointed with regular lenses to shoot Egypt’s monumental. A video camera will be good for having a memorable souvenir. One more thing to keep in mind inside many monuments, museums and tombs it is not allowed to use camera or video camera. Alcoholic Beverages: You would find affordable beer and wine in Egypt, there is no need to bring from home unless if you like the taste of a specific brand taste. It is difficult to find whisky and bourbons; you can bring up to 2 liters of liquor as you can buy additional liquor at the tax free shop before departing the airport in a reasonable price. Cigarette: Cigarettes are available in Egypt it is cheap, you will not find a big variety; you will find for example Marlboro but not the 100s (the long ones). You will need to wear something practical, something that breath like cotton in the summer and for winter you will need to wear layers which you can off during the heat of the day and have it on again in the evening. Loose and flowing cloth is practical in this hot climate, this type of garments allows wind to enter and circulate which creates a system of natural ventilation preventing from heat stroke. And of course you will need comfortable shoes and hat in the summer. Egypt has a dry desert climate. It is hot or warm during the day, and cool at night. You will find the weather in the coastal regions, daytime temperatures range between an averages of minimum 14 °C, in winter an average of maximum 30 °C in summer. In deserts the temperature can change to a great degree, especially in summer; they may range from 7 °C at night, to 40 °C during the day. While the winter temperatures in deserts do not fluctuate at wildly, they can be as low as 0 °C at night, and as high as 18 °C during the day. Hot and dry Khamasin winds blow in the Nile Delta region. Egypt receives less than 80 mm of precipitation annually in most areas, although in the coastal areas it reaches 200 mm. It hardly ever rains during the summer. You would find a variety of food type and prices. You will find small cheap place serves good food for only few pounds and they are generally safe and clean. In the large cities in Egypt you would also find a western fast food like McDonald’s and Kentucky Fried chicken, but it would be comparing to the stand-up sandwich bars somehow expensive. As you can eat in a local Egyptian restaurant Kushari and it is available in all places and not expensive; it is one of the most famous food in Egypt. It is not advised! Egyptian water has a high chlorine level in it which can upset the microbes in your stomach, causing diarrhea. For drinking purposes it is far safer to stick with bottled water, ensuring the seal is intact before drinking it. Liveaboard and resort scuba diving in the Red Sea, Egypt at Sharm El Sheikh, Hurghada, Marsa Alam and the southern Red Sea.